← Special on iBooks! Epic Apocalypse Box Set! I dunno if you hear voices in your head. Some people do. Some go so far as to argue with those voices. Do they realize they’re arguing with themselves? Or are they? Here’s your chance to have a whole new voice in your head. The voice of Jack Voorhies from Falcon Sound. He’s the talent behind the audible version of the Monster Squad and if you weren’t aware, Full Moon Rising has been released and is ready to continue the story for all of you audiophiles! 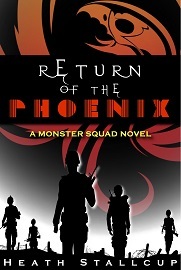 That’s right, Monster Squad 2, Full Moon Rising is one click away from transporting you back to your favorite characters either through Amazon or Audible…but wait! If you act now, we’ll also include…you may have seen this one coming. 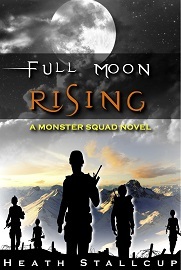 I’m going to offer a lucky few of you a free download of Full Moon Rising. There’s a couple ways you could get these ten luscious hours of full on entertainment. You could pony up the $19.95 like most folks. You could take Audible up on their trial membership and get it for free. OR, if you would be so kind as to leave an HONEST review, I can give you a download code and you can get it free, no strings attached. And believe me, when I say ‘honest review’, I mean just that. I’m not looking for a string of 5 stars and simple one liners like ‘great story, you’ll love it’. I’d like to hear what you liked and what you didn’t like about the story. Jack and I are big boys and we have thick skin. Besides, how else can we improve on the product if we can’t get honest feedback? So there’s the offer folks. Limited number of these freebies so feel free to hit me up here or on Facebook or email me at heathstallcup@gmail.com. If I don’t respond in a reasonable amount of time, please, hit me up again. There is the odd chance that your message gets sent to spam. And for those few of you who have never listened to an audio book before and aren’t sure if you want to jump into the middle of a series…hit me up. I’ll see what I can do about getting you a download code for Phoenix as well. We may as well start you at the beginning. For those of you who think this is a great deal, but it’s just not your cup of tea, I want to personally ask you a favor. Please spread the word about this offer. If you have a friend or relative that you think might enjoy an audio book…someone whose eyesight is failing, someone who drives a lot (like a trucker or someone with a long commute), or maybe someone who just doesn’t read well but loves a good story, pass this offer on to them. You never know who might pick up on it. You may just open up a whole new world to somebody who didn’t realize what was available to them.